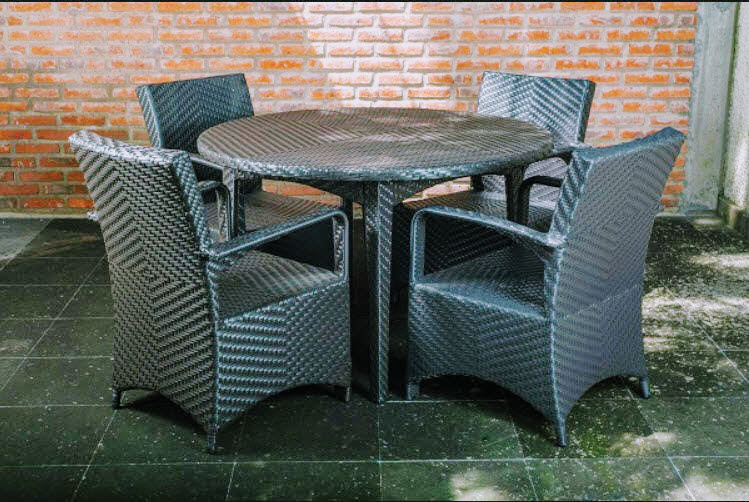 Sayulita Outdoor Dining Set - All-weather rattan weave designed for both outdoors and in. For us it was love ant first sight when we first encountered this ensemble. It is immensely practical because, let's face it, whether you are in Sayulita, Los Cabos, Punta Mita or Isla Mujeres, sometimes your Mexican outdoor terrace is not as large as you'd like. And even if you had lots of space, perhaps you want to keep things minimal so as to maximize the spacious feel and, especially, the ocean views! 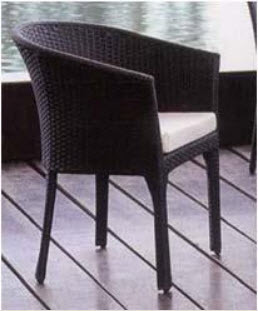 This lovely ensemble features a rich, solid chocolate brown all-weather rattan weave over a structure of aluminum. Ensemble includes round table and 4 chairs. Cushions are not included, but please ask us and we would be happy to quote the cushions in the color of your choice. Perfect for indoor or outdoor use, beautifully made and sure to delight your senses. Available in Chocolate Brown as shown.